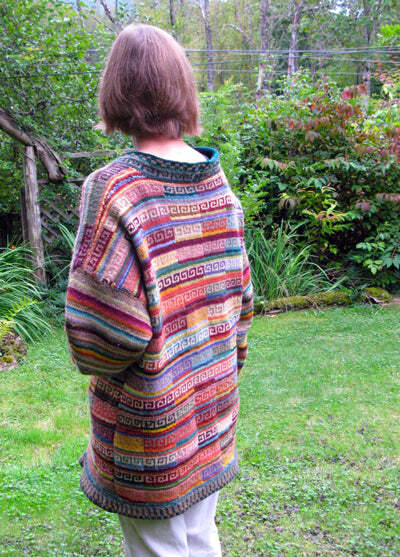 Although I love my muted greens and violets, I do sometimes miss the Fassett-frenzied color work of the 80s. This is a project I did that combined stranded and intarsia color techniques. By the time I finished the pieces, I was losing interest in the overall look of them. Luckily, my mom saved it from a terrible fate, finished it, and still wears it. My goal for this winter is to design a coat that combines intense color and pattern with areas of simple texture and tone.